Print Media South Africa v Minister of Home Affairs ( ZACC 22) – read judgment. In a “momentous” ruling on freedom of speech, the Constitutional Court has struck down a legislative provision on prior restraint, “based on vague and overly broad criteria”, as offensive to the right to freedom of expression. As the attorney for the amicus curiae Dario Milo explains in the Weekly Mail and Guardian (reposted on Inforrm), the court went even further than the relief contended for by the applicants, by striking down the entire provision as unconstitutional, rather than allowing certain criteria to be clarified in accordance with the Bill of Rights. 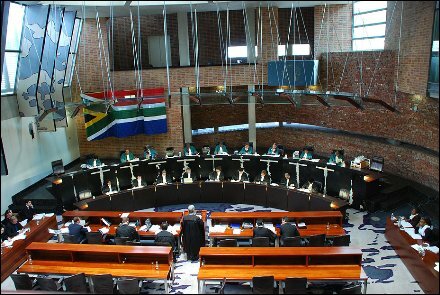 This ruling demonstrates that the South African judiciary takes a robust approach to freedom of expression at a time when the draconian Protection of State Information Bill is before the National Council of Provinces (see our posts on that debate here and here). The bill will be referred to the Constitutional Court before being signed into law, and it will be interesting to see whether the judges will take the same robust approach to the “inadequate” public interest defence to disclosure and other hotly-debated provisions in the bill. In the apartheid era South Africa’s answer to the Official Secrets Act was called the Official Secrets Protection Act and was said to be about the protection of officials, not the protection of secrets. Less flippantly, there are many voices raised,not all of them female, in support of any and every law which discourages the dissemination of some of the material which would be caught by the Act in question, and I ask whether any such voices were raised in favour of the Act in this litigation? It is merely silly to pretend that there is not a tension between freedom of speech and protection of human dignity; if you don’t believe me look on the top shelf of your local newsagents, or open the Sun to page 3.